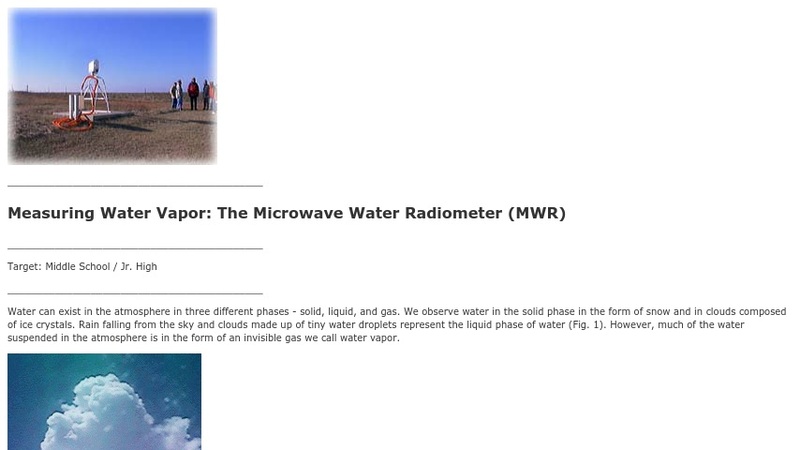 This middle/junior high school computer activity asks students to use the data from a microwave water radiometer (MWR)in Oklahoma to find patterns in daily and seasonal water vapor levels. An extension for the effect of clouds includes comparison of data from millimeter wave cloud radar (MMCR). The activity is part of the Atmospheric Visualization Collection (AVC), which focuses on data from the Atmospheric Radiation Measurement (ARM) program's Southern Great Plains Cloud and Radiation Testbed site.